As a result of the illegal possession of drugs, the arrest play in Toronto of Keith Richards, who was in danger of life imprisonment at the time, was judged as a result as a result. One of them opens a charity concert for the organization of blind people CNIB (Canadian National Institute For The Blind). The concert was put into execution in Oshawa, Canada on April 22, 1979. Not only did this respond to the judgment imposed on Keith, this day was also a very special day for Stones’ live history. 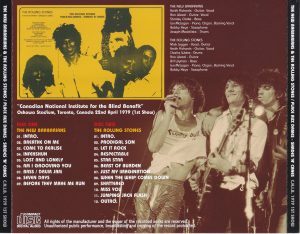 In the first place in 1979, Stones’ tour was not carried out by the proposal of Mick, but instead it was a year in which he directed the production of the album “EMOTIONAL RESCUE”. On the other hand, Ronnie Wood has just completed his third solo album “GIMME SOME NECK” for himself, and naturally the record company had been asked for promotional activities. Because it was such a timing, it was New Barbarians that thought that instead if Stones did not tour. 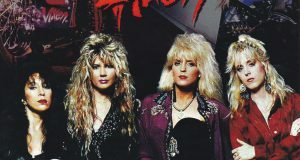 By the way, “GIMME SOME NECK” was released two days before the CNIB concert, and as a timing the event is a perfect group debut · gig. This situation overlapped, the charity concert in Oshawa became an irregular and innovative event that Barbarians and Stones played shows half a half each. Naturally Keith and Ronnie hooked up the band, yet it is a rare composition that will serve as the undercard of Stones. It became a good sunny stage as a new band’s debut · gig, as well as a few of the live activities for Stones that we decided not to tour. 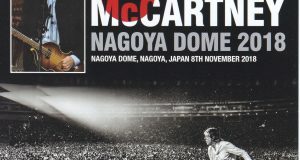 For such a rare day charity concert, two shows are held twice. The overwhelming affinity for maniacs will be the second show endowed with sound sources and items. There, the first show was extremely low profile. 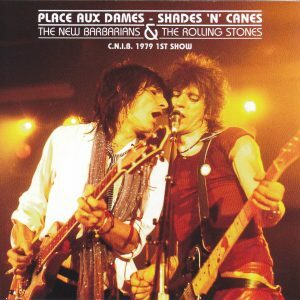 Not only was it a show with originally few items, but also the timing of the release “PLACE AUX DAMES: SHADES ‘N’ CANES” which was issued in response to the timing of the tours of Stones in 1981 and 1982 was delicate (Holding a concert or release three years later), and only the part of Stones was recorded. The last was that audience recording was very bad sound quality. Actually the second show has been produced many items up to the present, but the first show is that there are no items other than the LP, and that it has never heard as long as it is not so much a core mania There was. However, there are two other monaural and audience recordings related to the first show, whether it is happiness or unfortunate happiness. Although each of the two types of sound sources is not at a level of high sound quality, it was a quality to withstand much more to hear compared to “PLACE AUX DAMES: SHADES ‘N’ CANES” as expected. Therefore, this time it will be the release with the longest version that used the other two as a supplementary person after main feature of the three most existing audience recordings including LP and the best sound source. The sound source used for the main is a sound image with a sense of distance, and in the part of New Barbarians it is dumpling sound quality, but if you are a mania you can enjoy it with a margin. Throughout the taste of analog boot is a texture with strong texture. It is a translation that the debut stage of New Barbarians at the first show became clear by this release, but it is amazing as if playing it unexpectedly when asked in this way. Like their proven live tone generator and video image of Largo in May, the performance of the basic New Barbarians is extremely rough and loose. However, the performance which they let us here is probably the result that I played hard from the stage / debut as being so tight that it seems to overturn the image. 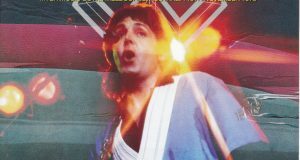 The pattern of this time has a video taken from the audience seats, but there was a literally wise figure of Ronnie singing while watching lyrics on the music stand. Besides, the fact that the composition of the set list is quite different compared to the second show is also interesting. It seems that they did not want to warm up before the tour that was already booked and want to show off the repertory prepared at the show this day from one end. “Lost And Lonely” is a repertoire played only on this occasion, and its pretty good thing. Unlike the second show, Ronnie’s harmonica solo does not appear in “Am I Grooving You”, and it is also precious that it is a short arrangement including only Stanley Clark’s base solo. Meanwhile, at the second show, it was surprising that Stones, who showed up the staggering stage that much, tells us the suddenly smart and stable performance. 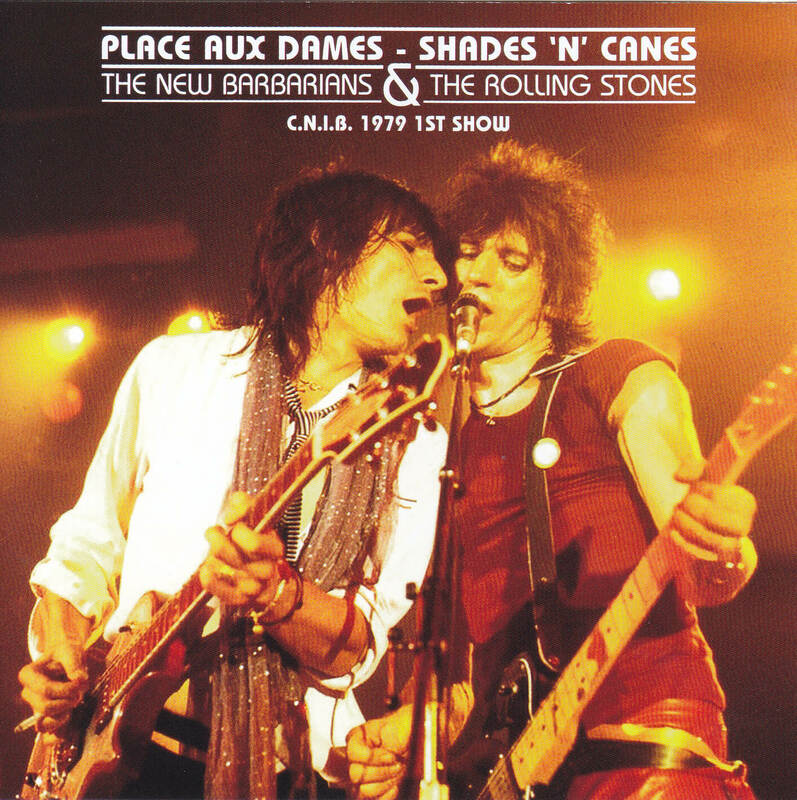 In the example “PLACE AUX DAMES: SHADES ‘N’ CANES” it was a level that it was difficult to listen to the details of the performance, so many surprising sound sources were released for maniacs. Whether there was still a feeling of the tour of the previous year, there is a very heard answer to the powerful performance which only the first show etc. have. Among them, “Star Star”, which was the best happening at the second show, is reflected freshly with Sararito. From the CNIB concert of 1979 which had been overwhelmingly only items of the second show until now, the complete collected items of the first show of mania tears finally appeared in the limited press CD. In that release, not only does it compensate for the deficits by making full use of other sources, it also has a finish that makes it possible to listen abruptly by thoroughly adjusting the unstable pitch which was a big problem in listening. Release of the Stones’ vintage live sound source that can be enjoyed with fresh feelings more than the classic second show for maniacs. Please enjoy compare and listen to the second show which is released at the same time! ★ The 1st Show was just out in analog. ★ The pitch is almost unchanged as the LP source is almost in use. Source 1 / source 2 was adjusted randomly because it was crazy randomly.